About 10 miles north of Boyle on the N4, is the village of Castlebaldwin, from there head west into the Bricklieve mountains, following the signs for Carrowkeel Passage Tombs. Turn left at the sign for the donkey sanctuary, and then first right, park here. A thirty minute walk brings you to the cemetery. 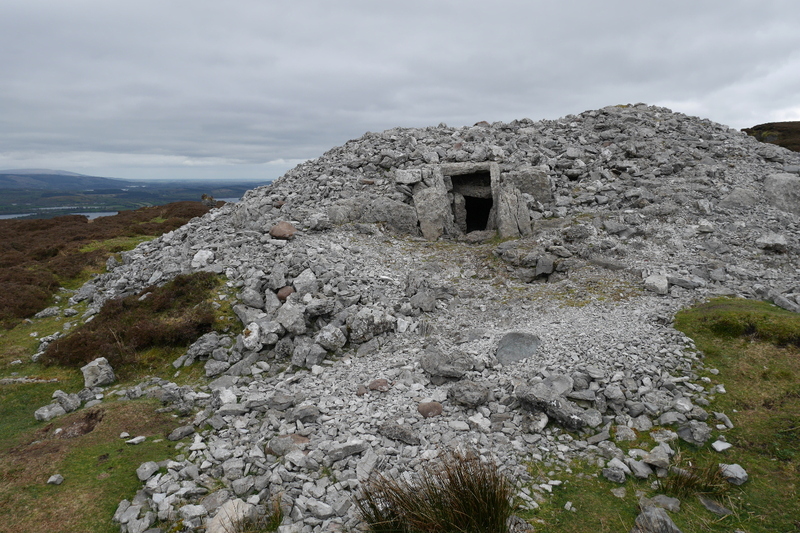 Carrowkeel is a megalithic hill top passage tomb cemetery. There are 14 cairns located at different positions on the hilltops with a further group of 6 cairns extending west towards Keshcorran Mountain, which is also capped with a large cairn. The main group of cairns was examined in 1911 when 14 cairns were excavated were given letters to differentiate them with Cairns G and K been the most significant of all. 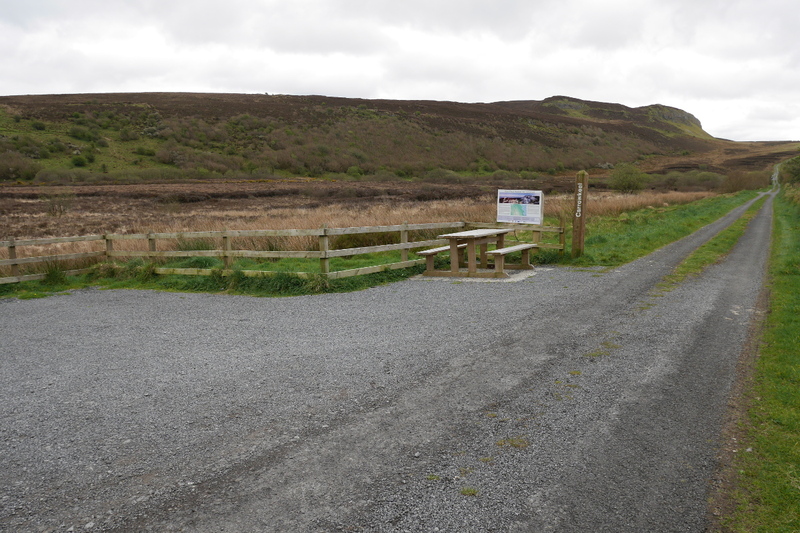 The walk up to Carrowkeel can be done as a linear walk or as part of the Miners Way and Historical Trail. 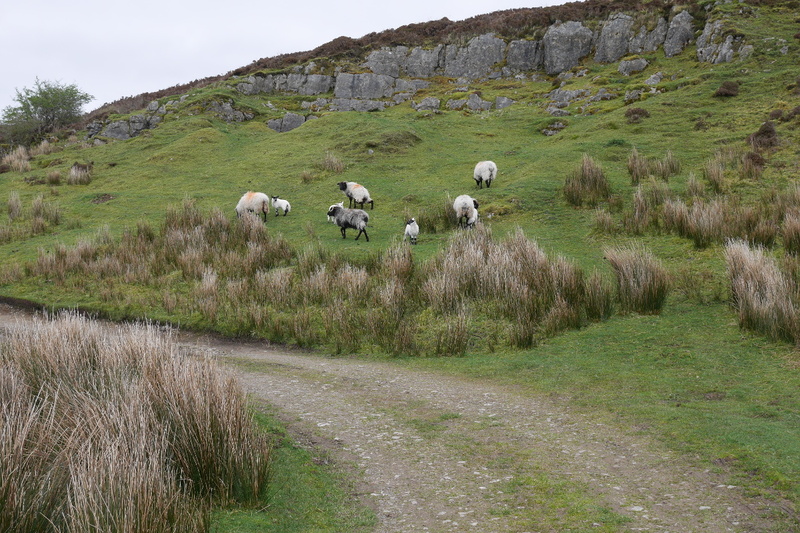 To assess the tombs as part of the Miners Way and Historical Trail you can start from Ballinafad and walk up across the Bricklieve Mountains over to the tombs before heading down past the donkey sanctuary to Castlebaldwin. The Miners Way and Historical Trail is waymarked using black marker posts with yellow arrows. 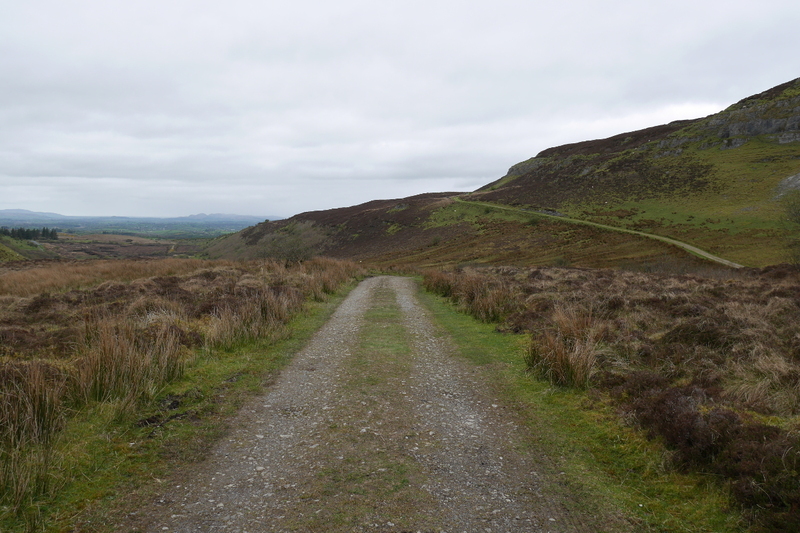 The mountain range containing Carrowkeel is called the Bricklieve Mountains, meaning the speckled mountains in Irish. The tombs were opened by R.A.S. Macalister in 1911, accompanied by Robert Lloyd Praeger and Edmund Clarence Richard Armstrong. 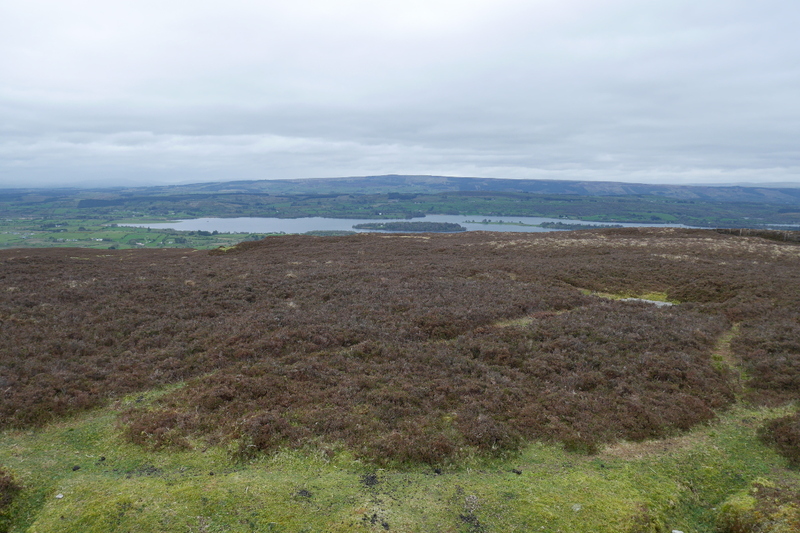 Although Macalister was acquainted with contemporary archaeological methods, he acted hastily at Carrowkeel and his removal and disturbance of the chamber floors have hampered investigators who followed him. 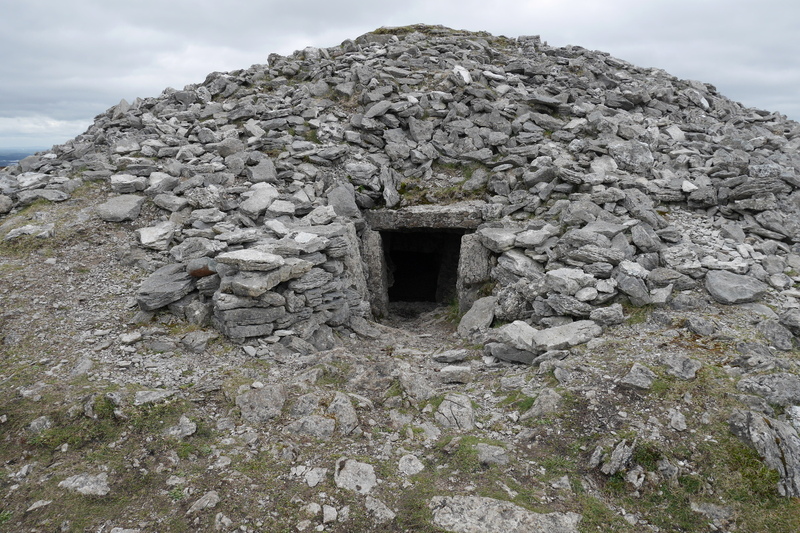 In ‘The Way That I Went’, 1937, Praeger gives an eerie account of the first entry into one of the Carrowkeel monuments.